Vehicle travel speeds affect both the risk of crash involvement and the severity of crashes, and subsequent injuries. Speed is a critical factor in every serious crash, and speeding was identified as a contributing factor in an estimated 29% of fatal crashes (2011-2015). Reductions in travel speed save lives and injuries. 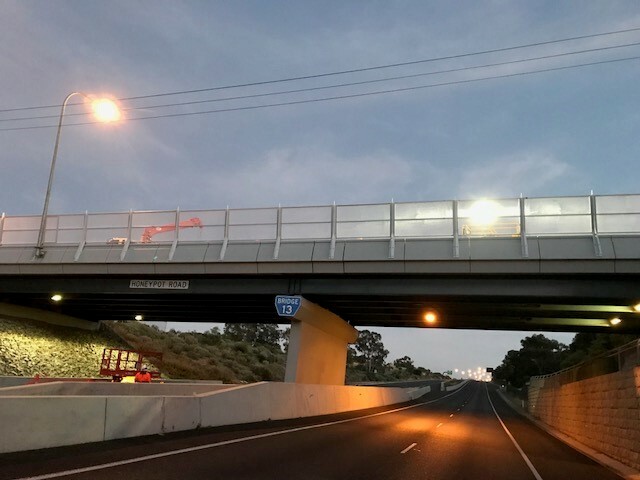 Reductions in the average travel speed across the network is the most effective and swift way to reduce road trauma and would produce significant and immediate road safety benefits. If we all do the right thing and drive within the speed limit, lives will be saved and serious injuries will be prevented. 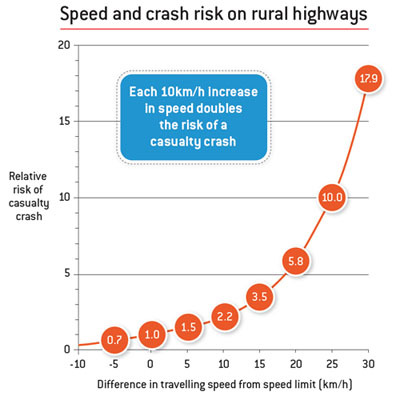 A reduction of 5 km/h in average travel speed would reduce rural casualty crashes by about 30% and urban crashes by about 25%. This is a significant saving of lives and injuries for South Australians. 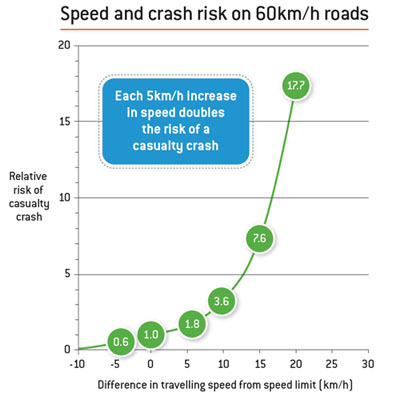 The risk of a casualty crash approximately doubles with each 5km/h increase in speed on a 60km/h speed limited road, or with each 10km/h increase in speed on higher speed rural roads. It is illegal to drive at any speed above the speed limit. Vehicle travel speeds affect both the risk of crash involvement and the severity of crashes, and subsequent injuries. 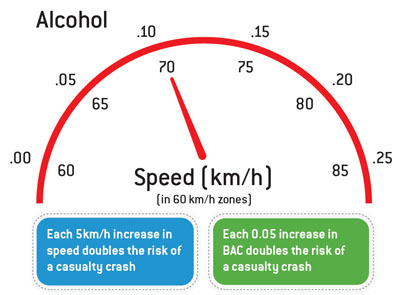 When travelling 10 km/h over the speed limit in a 60 km/h speed zone, drivers are approximately 4 times more likely to be involved in a casualty crash which is a similar risk to driving with a blood alcohol concentration (BAC) of around 0.10 g/100ml, twice the legal limit. On most trips, speeding will save very little time. For example, on a 10 km journey, you would only save 46 seconds by increasing your average speed from 60 km/h to 65 km/h. When travelling faster you use more fuel and your vehicle emits more of the gases that contribute to air pollution. With general traffic congestion, stops at traffic lights and accelerating and decelerating, keeping to the speed limit, particularly for commuter journeys on urban roads, may actually assist with reducing traffic congestion by improving smooth traffic flow. Research into the capacity of the human body to absorb crash energy indicates that speeds would ideally be less than 30km/h in where conflict with people walking and cycling is possible, less than 50km/h where vehicle side-impacts are possible and less than 70km/h where head on collisions are possible. A driver is more likely to collide with another car, hit a pedestrian or run off the road if he or she exceeds the speed limit or drives at a speed that is inappropriate for the conditions. As speed increases, a driver has less time to react to emergencies and requires a greater distance to stop.